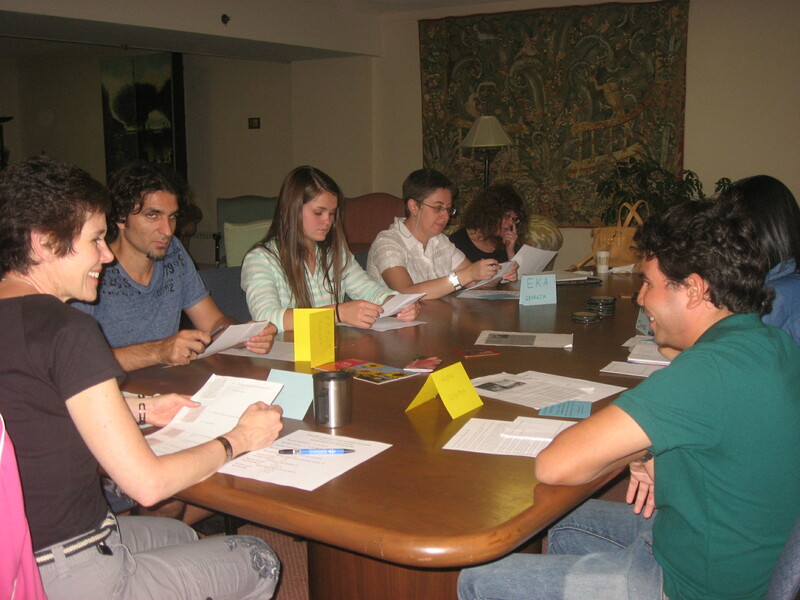 The English Conversation Program offers international students an opportunity to improve their English conversational skills in a convenient location on Main Street in Newark. We welcome adults from all nations and show respect for cultural diversity. Students are helped in their transition and adjustment to residing in the USA. Local activities and resources available in the area are suggested, as are travel destinations. Registration continues throughout the year. It requires a simple form that provides information for communication and emergencies. Students pay no fees, because all the staff members are volunteers from the church and community. Financial support comes from church groups and individual donors. 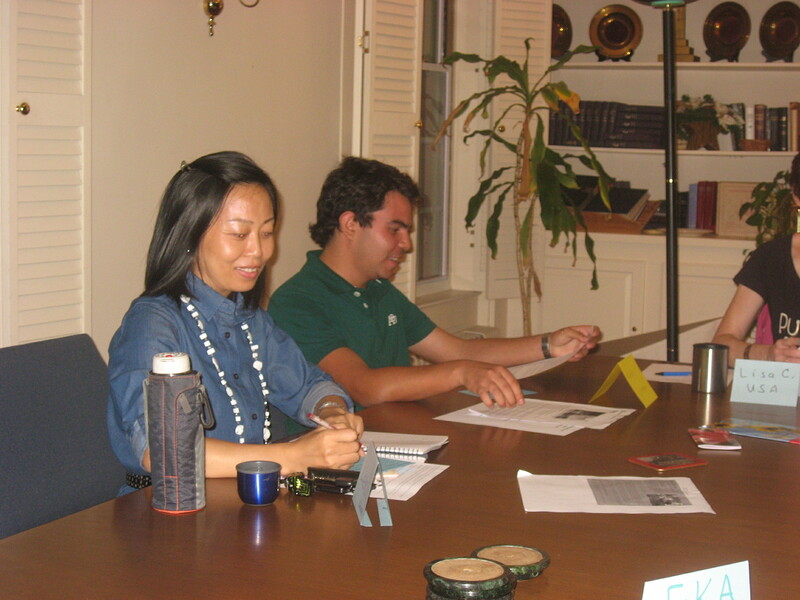 From September to May the classes meet on Mondays from 1–3 p.m. and 7–9 p.m. This year, both instructors have decided to continue through the summer months. Two levels are provided to serve both basic and more advanced students. We are flexible regarding placement, so students may request a change when needed. No published text book is used, because each teacher researches material to meet the specific needs of the class. Each year we serve more than 100 students from nearly 30 countries. The classes are diverse by national origin, age, and ability. The staff members welcome all who want to improve their English and do their best to create a valuable learning experience. In springtime, we celebrate with a potluck dinner—an international feast cooked by the students and staff. For further information, contact the program coordinators, Rob Detwiler (daytime) at 302-383-6963, or Bruce Gibson (evening) at 302-738-2881.